dormitory – 1634.4 ths sq. m.
There are more than 10 ths of blocks of flats, including dormitories. For the period of years of 2002-2010 average housing provision has increased for almost 10% to 21.7 sq. m, which in the same time is twice as low as housing provision in capitals of Western European countries. Past years witnessed tendencies to increase of housing objects commissioning in the city. However, year 2009 witnessed the decrease of housing objects commissioning due to signs of economical crisis. There are plans to increase the residential fund by 28.5 mln sq. M to 86.4 mln sq. m in order to reach average housing provision of 27.5 sq. m/ an individual, including blocks of flats – 25.7 mln sq. m, one-layer buildings – 2.8 mln sq. m, scope of total exclusion of existing residential fund is 2.05 mln sq. m.
Increase of the residual fund, as forecasted, is based on erection of new buildings, complex reconstruction of neighborhoods of the overage residual buildings, as well as finalizing started buildings construction, change of functional purpose of some parts of territories of agricultural, industrial and specific purpose. Out of general scope of residential development 68.8% is located in the right-bank part of the city, 31.2% - on the left bank of the city. Till year 2025 about 4% residential development will be low-rise cottage-like and unit constructions, share of block of flats buildings will be 96 % (27.4 ths sq. m). Speaking of the long-term period increase of average number of storeys of the housing fund from 7.5 to 9.8 is planned. As for historical areas and zones of construction regulation the buildings’ storey number is limited and specified in plans of territory zoning. It is planned to reconstruct dormitories of 0.24 mln sq. m cumulatively mostly for utilization as council housing. 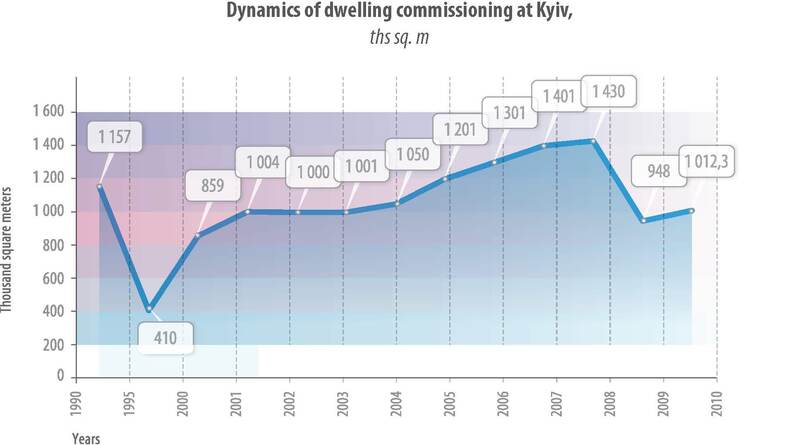 With regard to stable building tendencies, forecasted economical development scenario, annual volume of housing objects commissioning will gradually increase and by year 2030 it will reach 2 mln sq. m in average. improvement of public services system and accomplishment of housing fund exploitation system.